As Dear White People receives much deserved praise for its "diverse" representations of Black characters, the conversation on mixed race identity fails to be fully engaged with and must continue. The hypervisibility of mixed race women as video vixens, eroticized Others, or Tragic Mulattas flattens the complexities of negotiating a mixed-race identity within a Black-White binary. Rather than reinforcing this problematic binary with movies and TV shows in which characters have to "pick a side" or are placed within "colorblind" settings, we must demand that characters choose not to remain fixed within a singular identity performance. The tired tropes of mixed race women's sexuality are not harmless entertainment, but have devastating consequences off-screen because they are translated to interpersonal relationships. 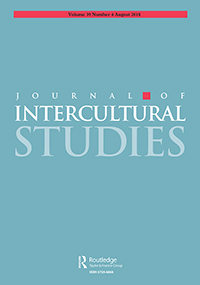 Jazlyn Andrews, "EMERGING FEMINISMS, (F)Act of Blackness: The Politics of Mixed Race Identity," The Feminist Wire, February 25, 2016. http://www.thefeministwire.com/2016/02/30379/. For many whites, desegregation initially felt like an attack on their community. But how has the process of racial change affected whites’ understanding of community and race? In Vanishing Eden, Michael Maly and Heather Dalmage provide an intriguing analysis of the experiences and memories of whites who lived in Chicago neighborhoods experiencing racial change during the 1950s through the 1980s. They pay particular attention to examining how young people made sense of what was occurring, and how this experience impacted their lives. Using a blend of urban studies and whiteness studies, the authors examine how racial solidarity and whiteness were created and maintained—often in subtle and unreflective ways. Vanishing Eden also considers how race is central to the ways social institutions such as housing, education, and employment function. Surveying the shifting social, economic, and racial contexts, the authors explore how race and class at local and national levels shaped the organizing strategies of those whites who chose to stay as racial borders began to change. Ethnically mixed couples — involving whites, blacks, Japanese, Hispanics, Chinese, South Asians or others — were heralded not long ago as the wave of a tolerant, open, non-racist future. National Geographic and Time magazine ran cover features with photos of mixed-race people, celebrating The New Face of America. The hero in the Warren Beatty movie, Bulworth, trumpeted inter-marriage as the way to end racial discrimination. “To embrace a ‘brown’ or raceless society and to dispense with concepts of race are to deny the beauty there is in difference,” say Kwan and Spiers. Roosevelt University Professor Heather Dalmage’s book also questions the vision of a society replete with mixed marriages. In The Politics of Multiracialism: Challenging Racial Thinking, contributors criticize white people who seek a “colour-blind” society, claiming they just want to deny the prevalence of racism. Featuring a wide range of classic and contemporary selections, Race in an Era of Change: A Reader is an affordable and timely collection of articles on race and ethnicity in the United States today. Opening with coverage of racial formation theory, it goes on to cover “racial thinking” (including the challenging and compelling concept of “whiteness”) and the idea of “assigned and claimed” racial identities. The book also discusses the relationships between race and a variety of institutions—including healthcare, economy and work, housing and environment, education, policing and prison, the media, and the family—and concludes with a section on issues of globalization, immigration, and citizenship. Editors Heather Dalmage and Barbara Katz Rothman have carefully edited the selections so that they will be easily accessible to students. A detailed introduction to each article contains questions designed to help students focus as they begin reading. In addition, each article is followed by a “journaling question” that encourages students to share their responses to the piece. Offering instructors great flexibility for course use—the selections can be used in any combination and in any order—Race in an Era of Change: A Reader is ideal for any undergraduate course on race and ethnicity. At the beginning of the twentieth century, W. E. B. Du Bois predicted that the central problem facing the United States in the new century would be that of the “color line.” Now, with another century upon us, many people are found straddling the color line. They come from the growing number of multiracial families in America, families seeking their places in a racially polarized society. In interviews with individuals from black/white multiracial families, Heather M. Dalmage examines the challenges they face and explores how their experiences demonstrate the need for rethinking race in America. She examines the lived reality of race in the ways multiracial families construct their identities and sense of community and politics. 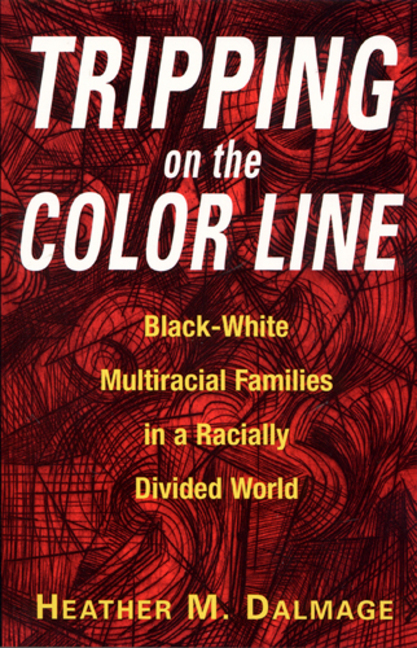 The lack of language to describe multiracial experiences, along with the methods of negotiating racial ambiguity in a racially divided, racist society are central themes of Tripping on the Color Line. By connecting her interviewees stories to specific issues, such as census categories, transracial adoption, and intermarriage, Dalmage raises the debate to a broad discussion of the idea of race and its impact on social justice. A New Take On A Old Idea: Do We Need Multiracial Studies? Read the entire review of all three books here.